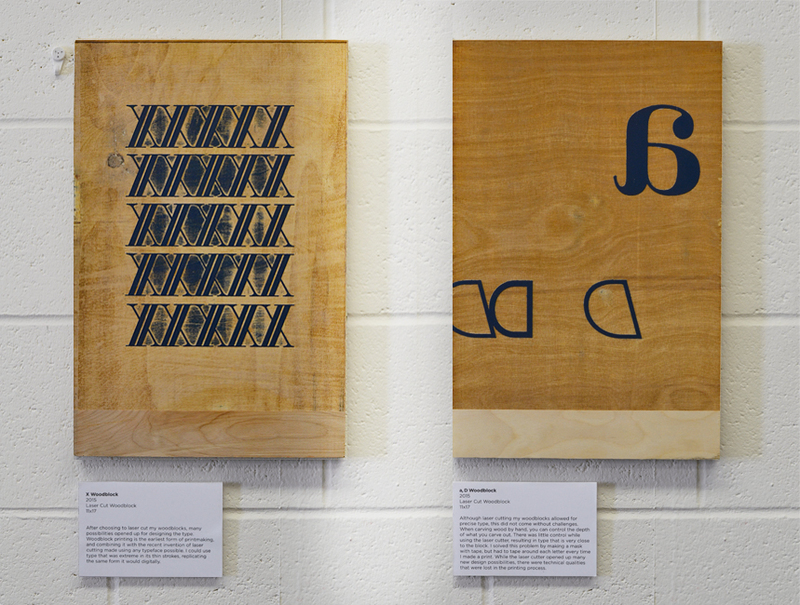 In attempt to combine contemporary technology with the traditional method of woodblock printmaking, I created a series of woodblock prints with laser cut typography. By removing carving from the process, wood-printed type could now be as precise as the web alternative while retaining its earthy properties of a traditional print. 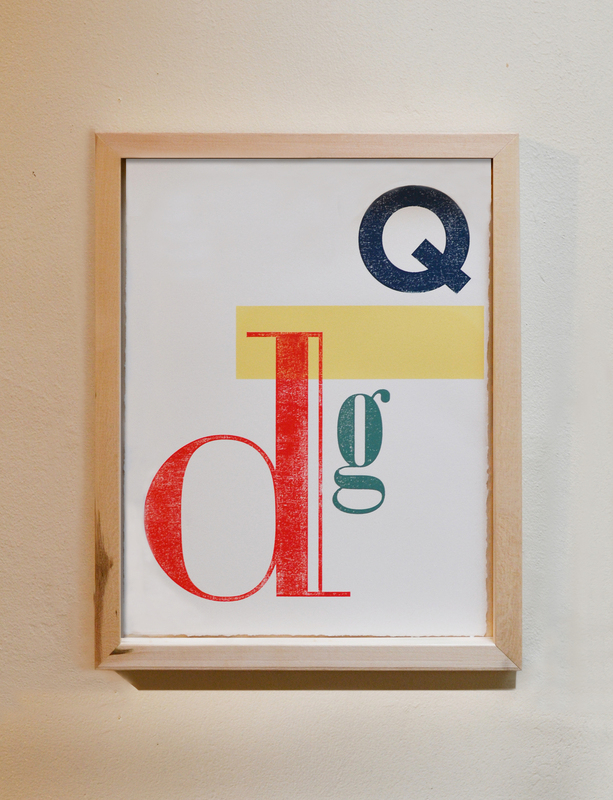 My prints combine screen-printed designs with laser cut woodblocks to merge new and old methods of printing type. The letters are a mix of font faces ranging from traditional to present day, further combining the new and old. I manipulated the characters in Illustrator to push the precision that could be etched into a block of wood, creating clean, yet detailed prints of type.